When this new Criollo joined the regular Calle 23 lineup, I had to go dig a little deeper, and I found a remarkable story that is far from standard. Calle 23 is the passion project of French biochemist Sophie Decobecq. Sophie took a love for all things Mexican and an intimate understanding of fermentation on a molecular level, and made her own Tequila brand. Criollo refers to a specific mutation of the Blue Weber agave plant that has a much smaller pina than the classic but which has an incredible concentration of natural agave sugars. Normally, these just get thrown in with the rest, and that uniqueness is lost, like a great single barrel of whiskey lost in Johnny Walker blend. The nose overwhelms with citrus, and the flavor on the palate is broad and rich, with intense herbal and sweet notes. A sipping tequila for the Mezcal fan. 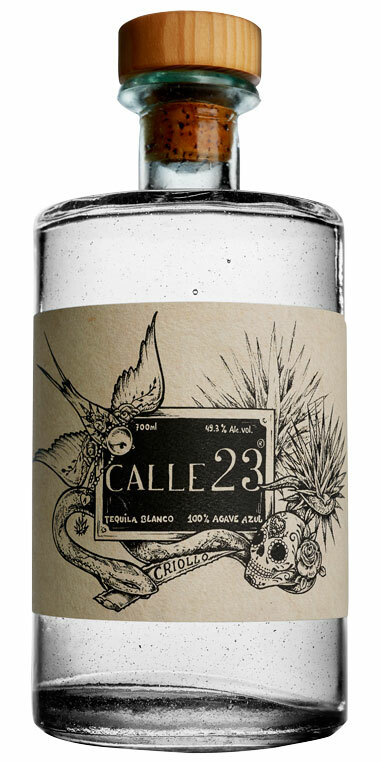 Notify me when Calle 23 Criollo Blanco Tequila is back in stock.